This advanced multi-material head construction features a combination of stainless steel and aluminium. 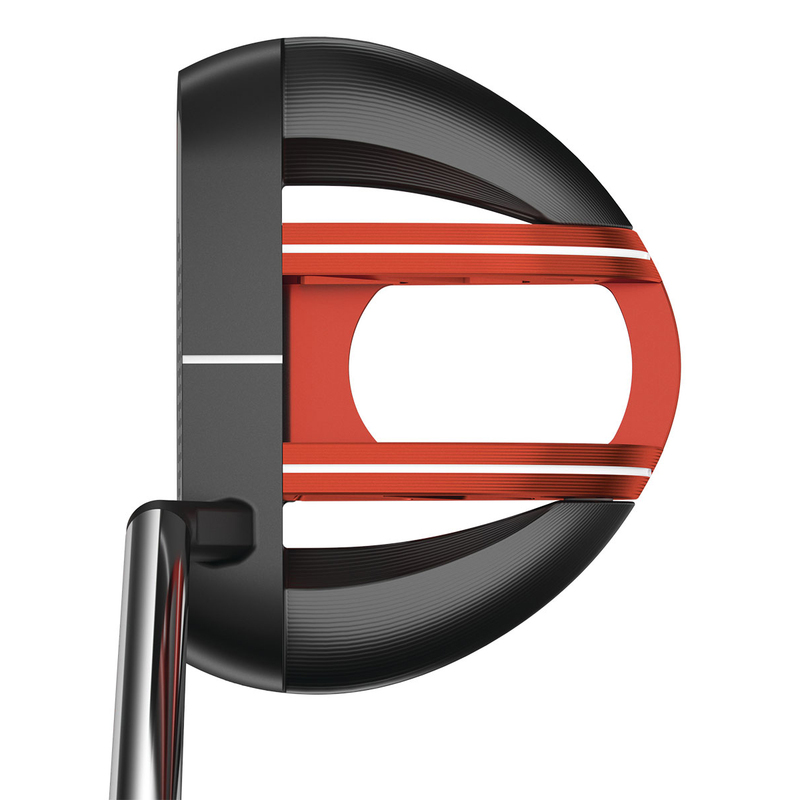 This engineering allowed Odyssey designers to push the weight towards the perimeters of the putter, to increase the levels of MOI for more consistent ball speed and accuracy. 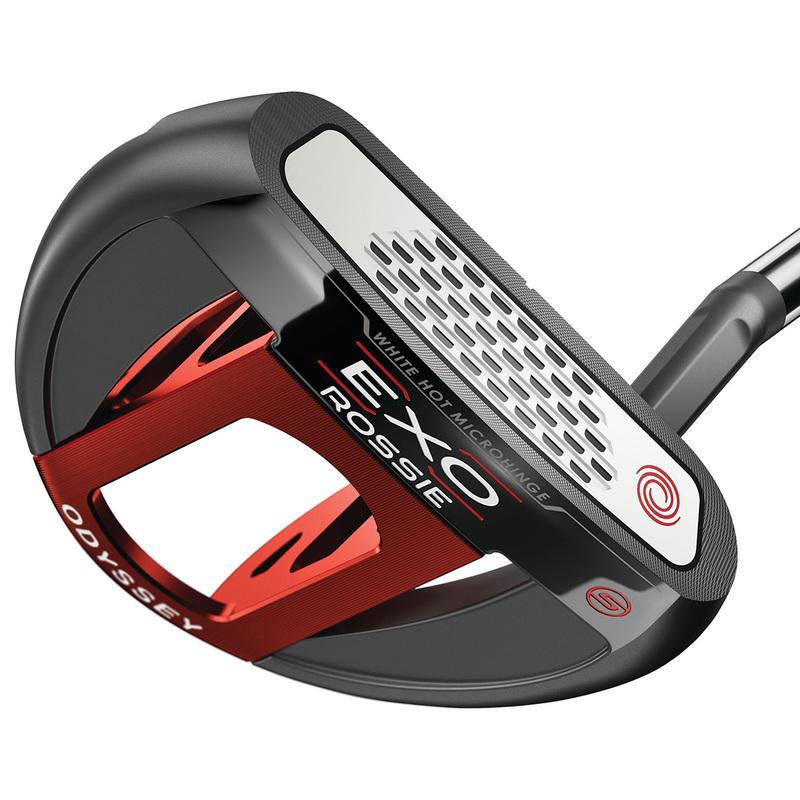 Odyssey Golf have created a new way to provide you with a more consistent roll, White Hot Microhinge technology which combines an elastomer insert with a stainless steel surface with individual hinges that flex on impact to left the golf ball up to produce more topspin. and ultimately a better roll. 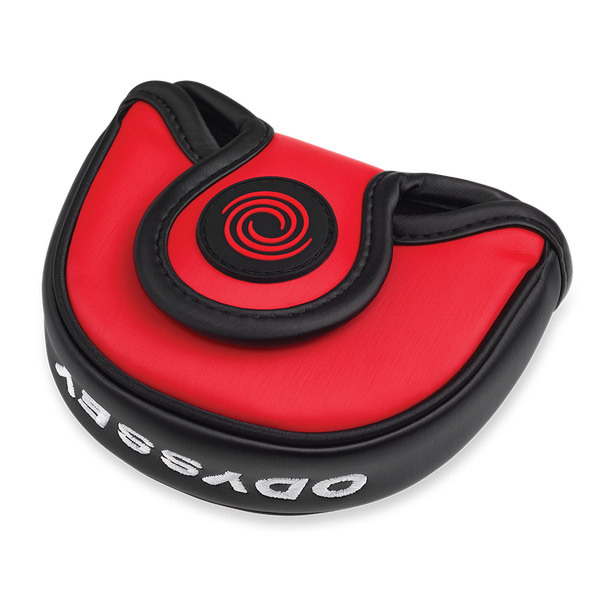 This provides an immediate roll and a legendary White Hot sound and feel, for increased confidence on the greens. 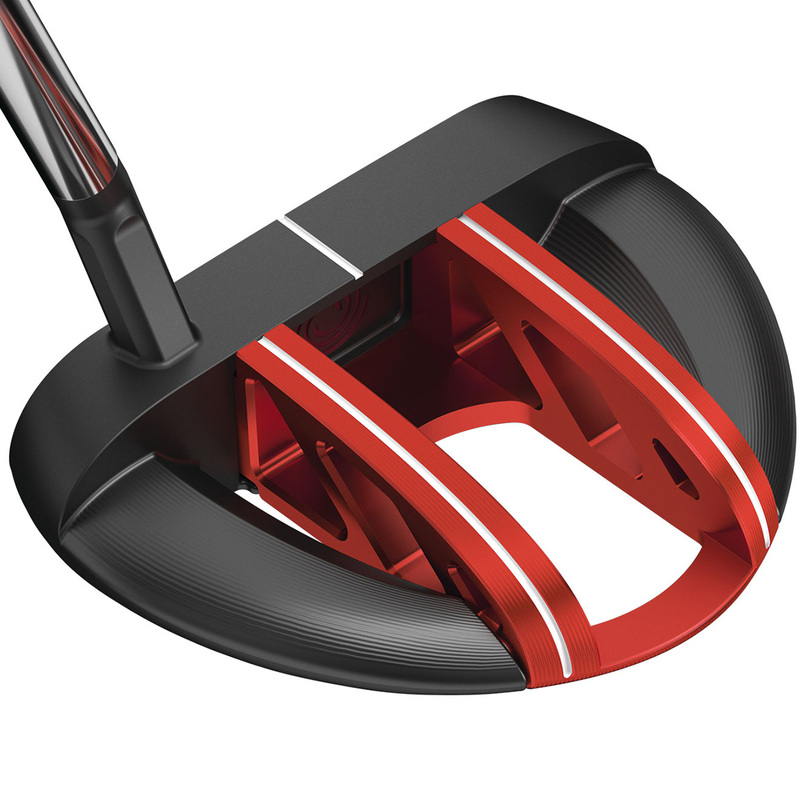 This beautifully crafted putter offers maximum forgiveness, consistent ball speed, and distance control. With alignment feature that allows your eyes focus on the linear designs to visualise the proper face angle from address to impact through your putting stroke for even more putting performance. The mallets are available in both face balanced and (S) toe hang versions, giving golfers the option to match their own putting preference. 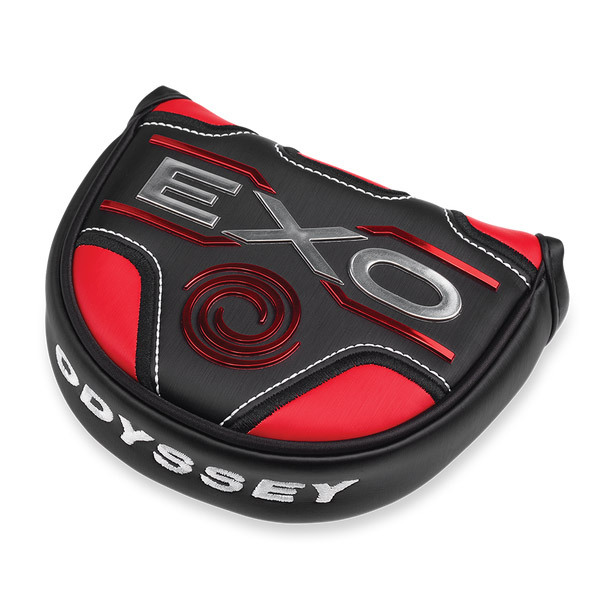 The EXO putter comes complete with a matching head cover.